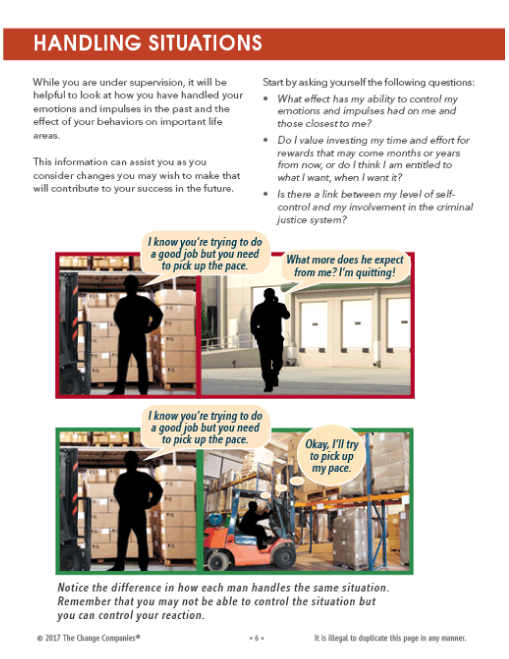 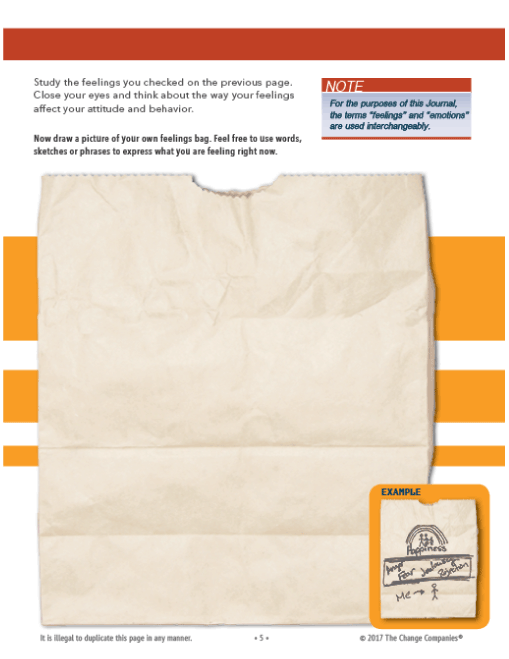 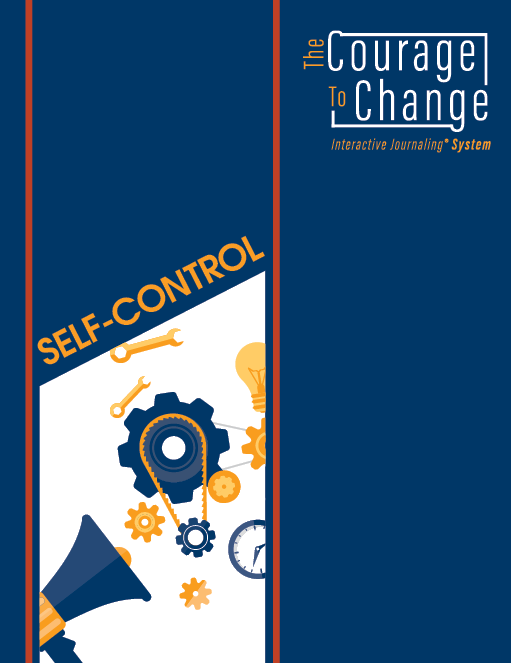 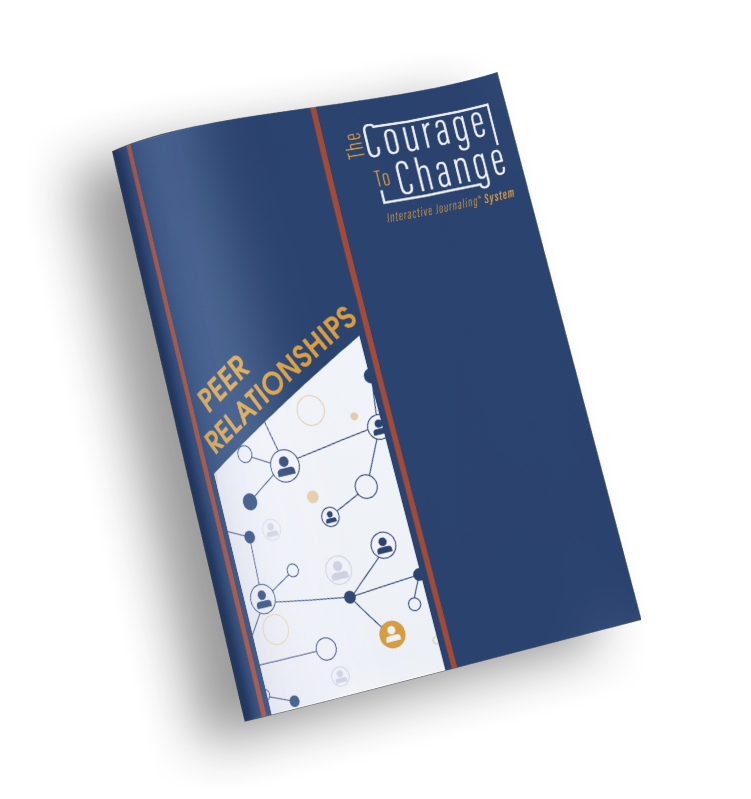 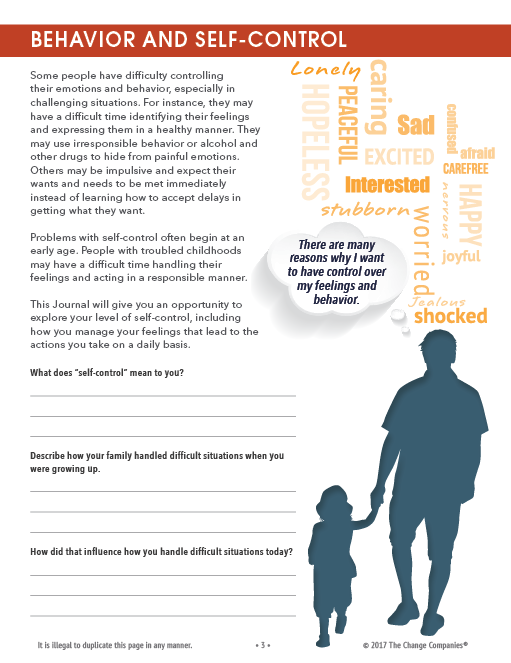 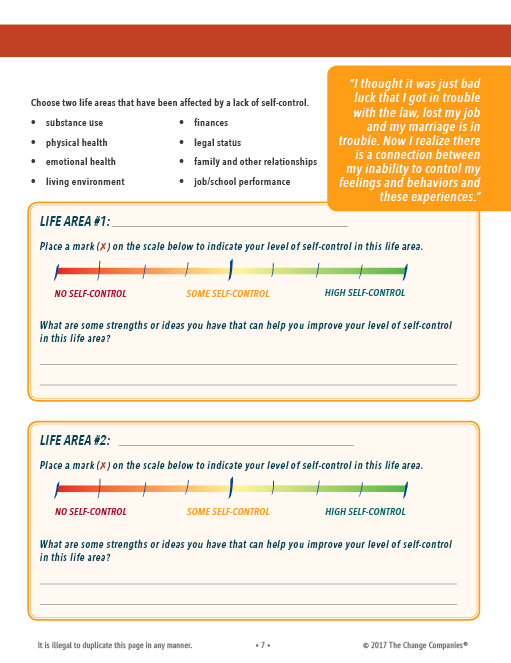 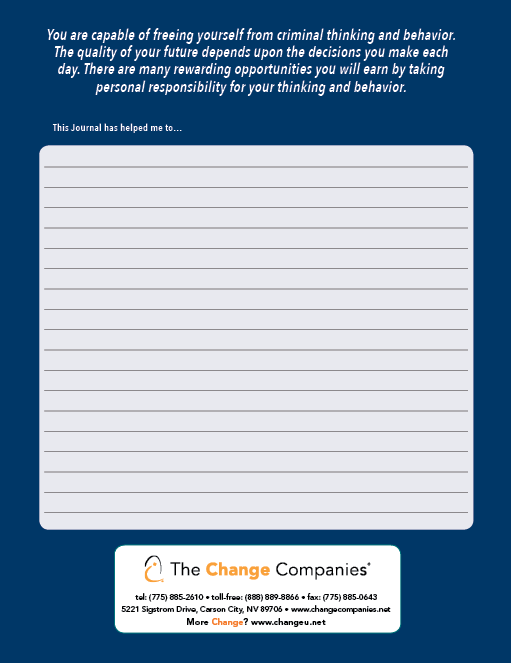 The Self-control Journal focuses on feelings participants experience most often and addresses risks related to low self-control. 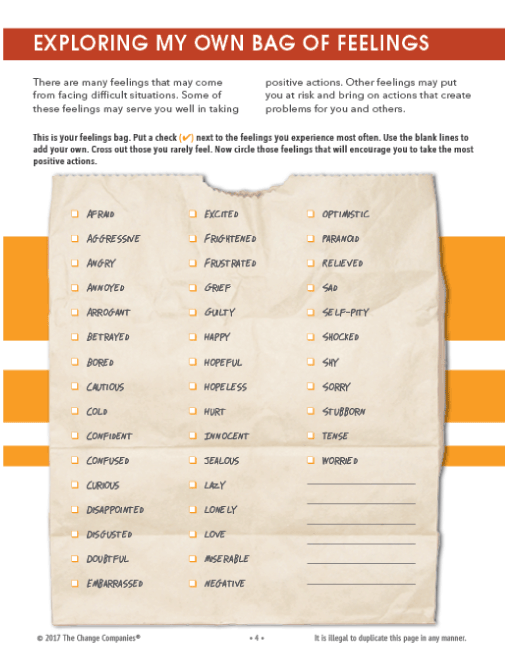 Five big feelings of anger, boredom, sadness, fear and resentment are explored. 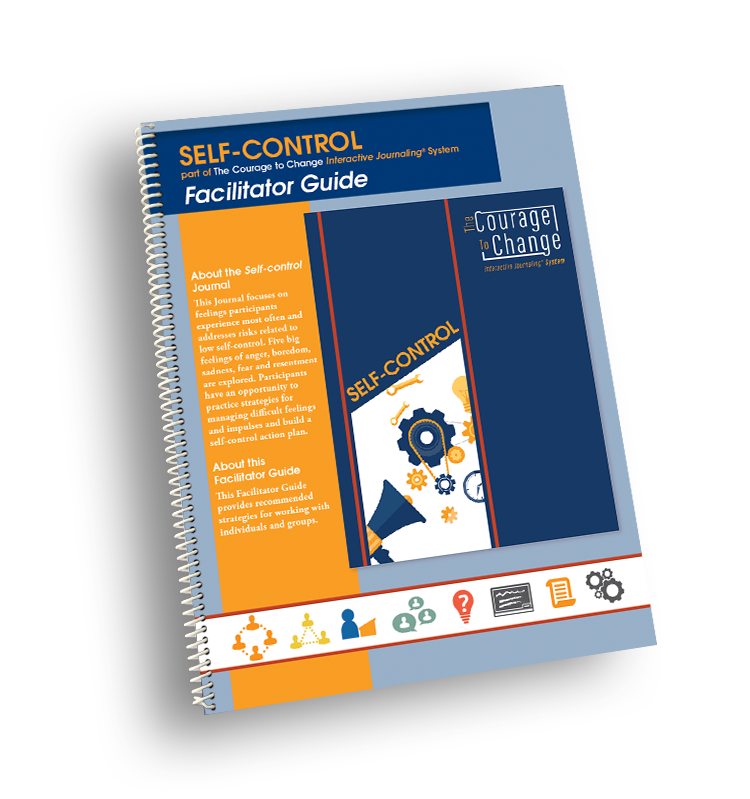 Participants have an opportunity to practice strategies for managing difficult feelings and impulses and build a self-control action plan.